Calm after a storm brings new opportunities, perspective, reflection, and hopefully a deep breath. This year was filled with hard work, challenges, losses, victories, opportunities, and most importantly, communities coming together. As we near the end of another year we'll be spending time around kitchen tables, winter campfires, in the mountains and on riverbanks to step back and reflect on the direction of SkeenaWild and where we’re headed. As Petronas fades away, we set our sight on estuary management planning, and the long term protection of Flora Bank. Similarly, we will look to our communities to define the kinds of economic activity that we can all get behind. We've got our work cut out for us, but we're up for the challenge. 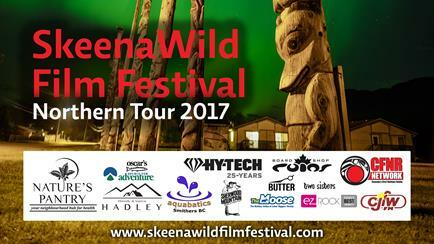 We wrapped up the 8th Annual SkeenaWild Film & Photo Festival Northern Tour this month and we are happy to announce this year's outstanding winners! SkeenaWild celebrated the life and legacy of a father, friend, founder and conservation powerhouse, Bruce Hill! We also celebrated with the Gitwilgyoots Tribe as they raised a totem pole on Lelu Island to signify the long-term protection of critical salmon habitat in the Skeena Estuary. The SWFF had more entries this year than ever before and we couldn't be happier with the amount of talent coming out of the Northwest. Thank you to all who submitted work and those who made it out to the largest SWFF to date. Stay tuned for the next festival screenings in the new year! For a complete list of 2017 SWFF winners, please visit the festival website here! We are saddened to share news of the passing of a member of our SkeenaWild family. Bruce Hill was an indomitable spirit and tireless conservation champion who dedicated his life to the wild salmon and wild places of Northwest British Columbia that we all love. He was also a father, grandfather, husband and dear friend of so many in our region. 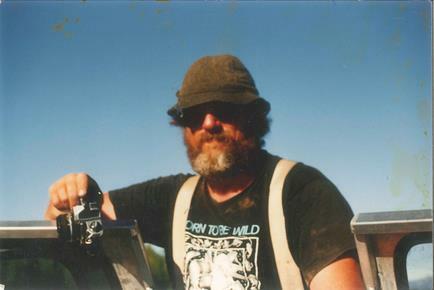 Bruce’s work was instrumental in the protection of the Kitlope Valley, the moratorium on fish farms on the north coast, important fishery management reforms, the protection of the Sacred Headwaters, the cancellation of the Enbridge Northern Gateway Pipeline and the battle to protect Lelu Island. Bruce helped found SkeenaWild, served as its long-time advisor, and worked for us as an employee for the past several years. Many of you have contacted us to ask if there is a way you can make donations in Bruce’s memory. Bruce always held much admiration for young people who have the courage to take a stand. His family has establish a bursary fund to help young people and new activists from our region access leadership training. Please click here to donate towards this initiative. The conservation world also lost another wild salmon protector this year, filmmaker Twyla Roscovich shortly before we lost Bruce. There were a number of tributes for both of them that even reached the halls of Ottawa and Victoria. Read and watch the tributes below. 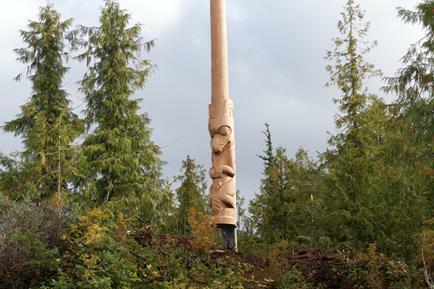 Following the demise of Petronas' failed PNW LNG terminal on Lelu Island, the Gitwilgyoots Tribe erected a totem pole to signify their presence on the territory and to ensure it's prolonged protection from industrial development. More than150 people made their way to Lelu for the pole raising, here is a short video to celebrate the pole raising and what it means to the Tsimshian people of the Gitwilgyoots Tribe. Last Chance to Have Your Say on the Wild Salmon Policy! 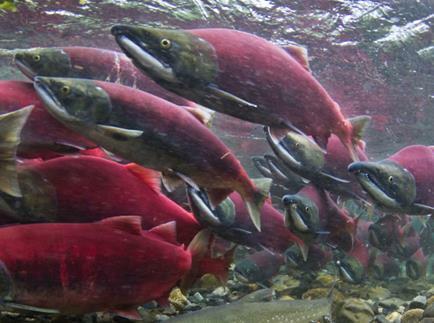 Over the passed several years the federal government has been trying to figure out how to best implement the Wild Salmon Policy to protect and enhance stressed salmon populations throughout Canada. Watershed Watch has also provided a helpful backgrounder to get you up to speed on how implementation hearings have been proceeding. Click here. It's been a tough year for many salmon and steelhead populations in the Skeena. SkeenaWild is researching what has been happening, what we can expect going forward, and what we can do about it. We will also be working with DFO, indigenous communities and sport and commercial fishers to develop fisheries management that can better protect salmon in the face of climate change. A report released this month paints a dismal picture for the future of steelhead, which are now in a state of extreme conservation concern. Read the full report here. Learn more about the state of steelhead and salmon populations in the Skeena Watershed through this interactive map. Our Executive Director at UNBC Terrace This Week. 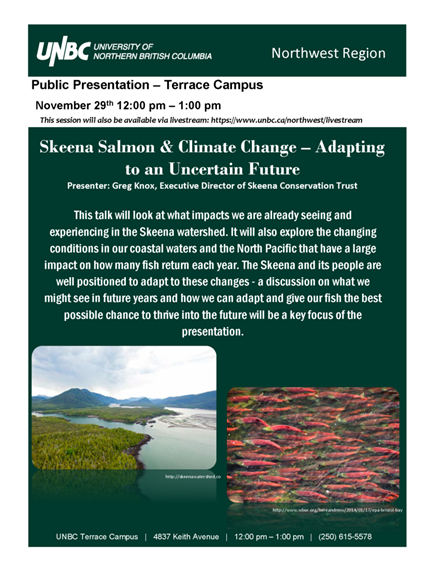 Greg Knox will be visiting UNBC's Terrace campus on Wednesday to give a public presentation on skeena salmon, the threat of climate change and how we can adapt to an uncertain future. 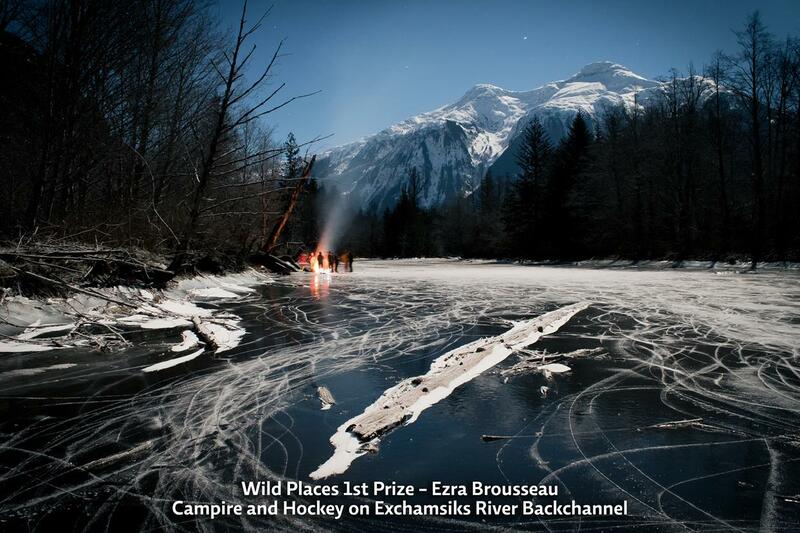 For more details please visit the UNBC events page here. Or click here to watch a Livestream of the presentation on Wednesday, Nov. 29th. Gift Ideas for the Holidays. 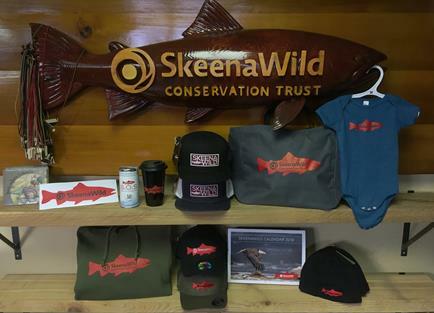 Give the gift that keeps on giving from SkeenaWild with a wide range of swag for everyone on your list! Check out new items like toques, hats, and hoodies from our online shop.